On Monday, January 21, Harold Henry “Buddy” Hansson passed away at age 74 after a lengthy illness. A loving father, he leaves behind two sons, Eric and Christopher, two daughters, Kathy and Lisa, and many grandchildren. Buddy was born on February 8, 1944. He spent his childhood in Rutland before joining the U.S. Navy in 1961. He served as a mechanic aboard the USS Long Beach, spending two years in Philadelphia before embarking on an around-the-world tour to France, Pakistan, and Australia, among other countries. Upon leaving the Navy, Buddy became an auto mechanic, owning and operating garages in Worcester, Shrewsbury, and Westborough. He ended his career working at the New England Center and Home for Veterans in Boston, where he helped disadvantaged vets find employment. He married twice: first to Margaret (Willard) Possesserre and then to Meg (Reilly) Hansson. In his later years, he found a loving relationship with Mira Korczewski. Through his life, Buddy was a passionate man. He enjoyed fishing, hunting, and camping, and introduced his sons to these activities. He also taught them how to fix cars, though they mostly handed him tools. When Buddy wasn’t working on Volvos, he was tinkering with computers and EMAILING FRIENDS AND FAMILY IN ALL CAPS. At the end of a busy life, Buddy joins his beloved parents, Folke and Lillian, in peace. 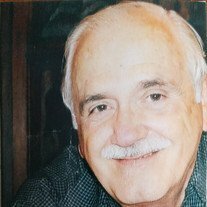 Relatives and friends are respectfully invited to attend visiting hours on Saturday, January 26th in the Chiampa Funeral Home ~ The Sumner House, 5 Church Road, Shrewsbury Center from 11:00 am to 12 noon. Funeral Service will follow at 12:15 pm in the funeral home. Interment with military honors will be held 2 pm on Tuesday, January 29, 2019 at Worcester County Memorial Park, Paxton.